Ever since people first started blogging, there has been a constant dispute about which content management system (CMS) is the best. This is why the team at Firstsiteguide has created an infographic-comparison between the three most popular ones and see where they excel and where their weaknesses are. A CMS is an essential tool for bloggers and publishers in general, as it can be used for creating, deleting, publishing, editing content, and allowing multiple bloggers to manage the same site with little to no coding experience. 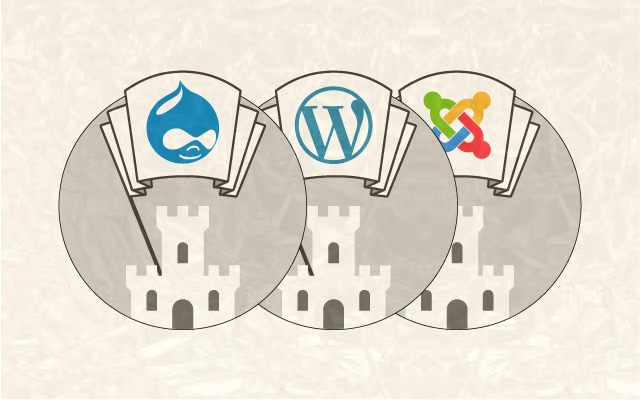 Here's the comparison of top 3 open source content management systems: Wordpress, Joomla and Drupal. Learn about their pros and cons before you decide which one is the best choice for your new website.